A photography degree program is that rare course of study that requires substantial investment in equipment. All degrees require the purchase of books, and most degree work will be simplified through owning a computer, rather than finding an available public computer. Photography degree students, however, have the additional burden of obtaining film and digital cameras, light meter, flashes, and lenses, as well as a computer and photography and digital art computer software. Some programs have specific and lengthy requirements. Expect to arrive at school with a small format digital SLR camera and a handheld light meter for starters. Beyond that, some schools will require a laptop loaded with the right software, flashes, and camera lenses. The investment can be considerable—perhaps several thousand dollars. 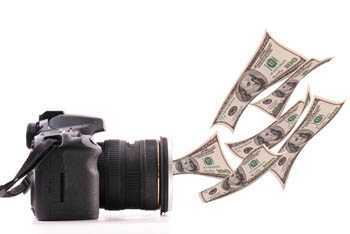 The New England School of Photography estimates the cost of books, supplies, and equipment to be $7,500 per year. Equipment costs can substantially change the cost of a photography degree and may not be covered under financial aid awards. What Quality Equipment Do You Need? Students may be tempted to save money and buy the lowest quality equipment with the expectation of replacing it when they are professional paid photographers. Others may limit their investment, expecting models available at the time of graduation will be a better value or have better features. Decisions regarding specific equipment must be made prudently, with great consideration. Photography degree students should consider the likelihood of being able to afford improved equipment at the time of graduation and the longevity of equipment. Items with significant longevity may be better purchased once rather than twice. Good quality equipment may be used long after graduation and throughout a professional career. The equipment chosen upon starting the photography degree program will be used on an almost daily basis for training and for creation of a professional portfolio. Students will also have the advantage of instructors teaching them to take full advantage of the capabilities of their personal equipment. Consequently, it often pays to make the best possible equipment investment early on. Some schools may have their own equipment requirements; it's best to check this out as soon as possible, in addition to reading up on the school's degree requirements. Photography degree students should expect schools to provide some equipment and facilities. Darkrooms should be provided with processors and enlargers. Some schools will provide computers loaded with photography-specific software, scanners, and special printers. Photography schools should also provide shooting studios stocked with lighting equipment. Photography degree programs will advise students to purchase specific software or will provide photography software on school computers. Photography students will become familiar with Adobe Photoshop and perhaps Photoshop Lightroom and Photoshop Elements (a modified lower-cost version of Photoshop). Students may be exposed to and learn additional programs: PaintShop Photo Pro, Nik Software Color Efex Pro, ProSelect, Portrait Professional, and FotoFusion. If students do not want to invest in their own software right away, they can consider free programs such as Google Picasa and GIMP or iPhoto for Macs. The software image sorting tools photography degree students might use include iVIEW MediaPro, Photo Mechanic, and BreezeBrowser to sort images. Photography school applicants should consider the number and variety of professional equipment available at the school and the required investment in equipment. A school with more substantial facilities and available equipment may offer more practical time and experience with a greater range of cameras, techniques, and products.